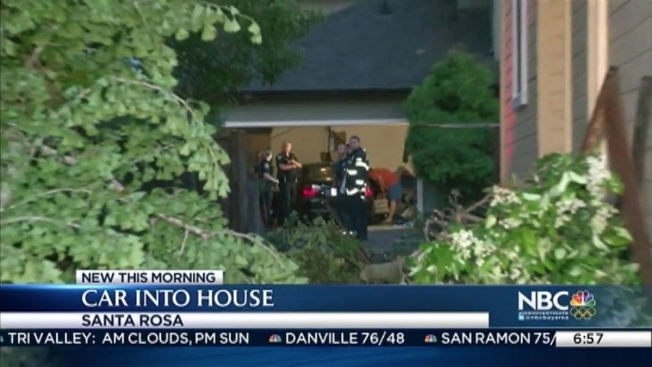 A BMW slammed into the garage of a Santa Rosa home Wednesday night. Police said the driver was traveling 100 miles per hour through city streets and eventually lost control atFranklin Avenue and Wright Street. The car went through the yard of one home, kept going into the yard of another home and eventually slammed into the garage of that second home.